With more than 300 million smart phones shipped in the second quarter and mobile web usage doubling globally since last year (according to KPCB) there are more reasons than ever to get on the mobile web monetization band wagon. The problem is that few sites are getting it right. We’ve compiled a list of tips on how to get your mobile web site monetized while keeping users happy. Everyone has experienced it; a harmless click-through from Google takes you to advertisement hell. It could be a banner ad that just won’t close, music from an unidentifiable source or a dreaded paywall. For someone interested in monetizing their site, unhappy memories of advertisement hell can be a huge hurdle to overcome. Especially when you’re implementing your adverts with a pre-established site. So, how do you walk down the thin line between successful monetization and driving your user base away? 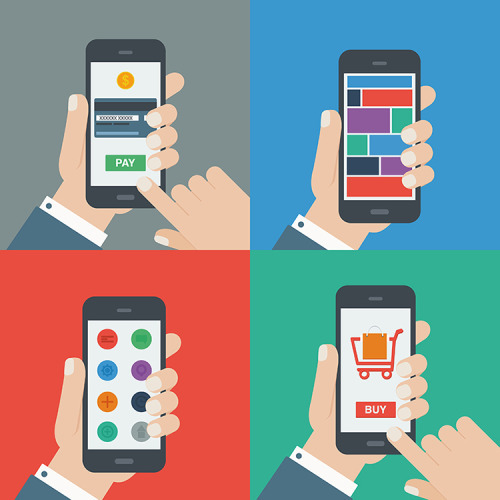 We’ve got five easy to follow guidelines to help you on your mobile web monetization journey. Every mobile web user has met this. I’m sure you have, too. On opening a web page, an advert off-screen starts to play at full volume. Unable to find the source of the noise (or caught with your phone on when it isn’t meant to be) you hit mute or simply hit back on your browser. The sound of the ad was so distracting, you haven’t even glanced at the actual site content. This type of advert not only disorientates your user, it makes them less likely to visit other pages of your site, leaving you with a massive bounce rate and a shortage in possible revenue. There are hosts of new Rich Media and Video banners that create dynamic movement to attract attention, without forcing your users to have their phone on mute. According to mobile ad campaign studies, they’re becoming the most popular advertising format – it’s not hard to see why. Less is more – especially when it comes to mobile browsing experiences. Web designers are currently being trained to develop sites from mobile format first, so that core content is recognised and clutter is avoided. Keep this in mind when monetizing your mobile site. Overloading your site with ads might build revenue but, in the long run, will be detrimental to your site’s popularity and “browsability”. Too many adverts can be detrimental to page loading time, too. With most mobile web users looking for fast loads and easy to access content, the extra second added by one too many adverts can be all it takes. One effective advert placed in your site’s flow is better than several vying for space. Go for non-invasive placement that’s easy for any browser to display. This will assure you both revenue and user attention. This is an issue blogging sites in particular run into that’s easily avoided; the owner of the site sacrifices the site’s character to shill products that seem inauthentic to previously established themes. The best way to avoid this while monetizing your site is to keep your content in mind. If your site is focused towards fashion, you don’t want to run adverts related to gaming or cars. Any good advertising network will provide a genre option on sign up or will categorise your site for you. If you’re going alone, don’t be afraid to shop around for a method that will suit you. If you’re getting offered lucrative sponsored posts for your blog? Take a step back, disregard the figure being offered and consider if you’d post about it for free, first. If you wouldn’t do it, don’t write it up. When implementing your adwall, make sure that it’s mobile web compatible. Several types are made with only desktop resolution considered. This makes them difficult to navigate out of on mobile devices. Most mobile advertising networks will provide the right specifications. AdSpruce offers high quality video walls which are easy to implement. While are a lot of different options when it comes to monetizing your site and there are even more options when it comes to providers. The quality of adverts shown on your site is a consideration many don’t take into account during the monetization process. With millions of competing websites available with the click of a button, a professional site appearance is more important than ever. Try to stay away from displaying adverts that cheapen the look of your pages – low resolution graphics, bad typography, and bad products could all impact your site. Choosing a good ad network can not only help you avoid this but also provide a valuable safety net if things start to go wrong. There you have it. Five things to consider during implementation of monetization strategies. Thought of any more? Have a few thoughts on the subject? Get in touch with us on Twitter, Facebook or Google+. For more information on how we can help you monetize your mobile website, go through to www.adspruce.com.